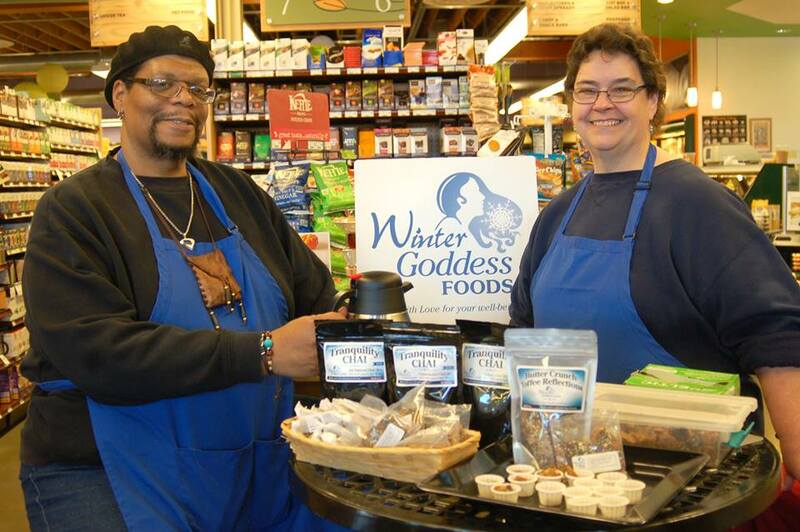 With the Farmers Markets done for the year, Winter Goddess Foods' attention has turned to our annual Holiday Show Season. 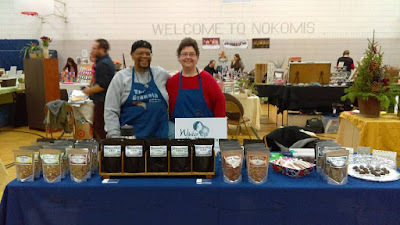 For the next two months, Terry and I will be appearing at various venues around the Twin Cities area, as well as in Long Prairie Minnesota, making our tasty organic fare available for your holiday gift giving consideration. To the left of our page (a little under our picture), we have listed our entire indoor show schedule for late fall/winter 2016. Each entry is linked to the main page of each venue sponsor so you can find detailed information for every event. This list will be updated as we add new shows. Please feel free to click the links to find information about where we will be next. 1) Our Tranquility Chai or spicy Muy Loco Coco, paired with a purchased mug makes for a thoughtful and inexpensive gift for your loved ones. 2)For the health conscious or athletic person in your life, boxing up an assortment of our Cranberry Walnut, Banana Walnut and Sunflower Apple Raisin granolas is a great way to let them know you are thinking of them. 3) Looking for a great Hostess Gift? Surprise your hostess/host with several bags of Aww Nuts! or Aww Nuts! Slow Burn, along with a beautiful bowl to serve them in. Who wouldn't want a nice bowl of tasty nuts for their holiday table guests? 4) Speaking of nuts, they also make the PERFECT stocking-stuffer for that guy, gal or child in your life. 'nuff said! 5) Our Caramel Moments make for another great stocking-stuffer idea for children and adults alike. Keep in mind that they pair up nicely with that warm mug of cocoa, coffee, tea or even Irish Cream! A dozen caramels or even a bag of 25 will provide enough rich buttery goodness for everyone! 6) Looking to add a bit of class to that holiday gathering? A dozen or two of Oh My Goddess! Truffles or Cake Gems will make you the hit of any get-together. Hopefully these suggestions will be helpful to you. Feel free to let your imagination run wild, since our products have been employed in a wide variety of ways to provide pleasure and enjoyment to those you love. We look forward to serving you, our wonderful Peeps, for all of your holiday needs! Please note: The last day to submit all mail orders is Monday December 12th. The last day to submit for all Twin Cities local pick up or delivery orders is Friday December 16th. Please plan your holiday ordering wisely to avoid disappointment; i.e. Order early!